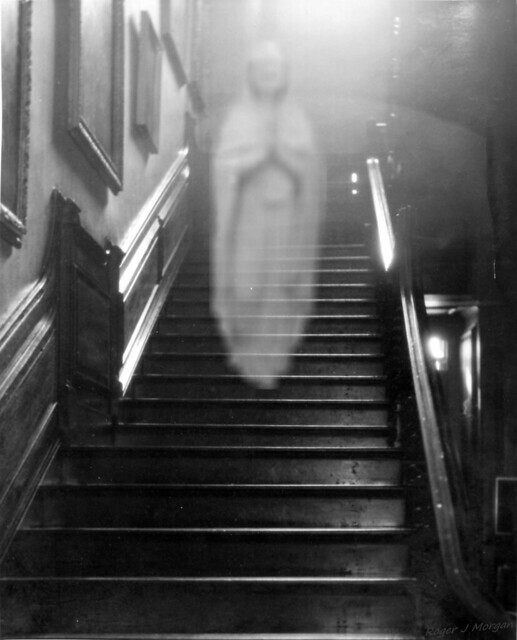 Brown Lady of Raynham Hall - 4 steps higher | Flickr - Photo Sharing! Ghost appears 2.1 mt tall. In actual fact the ghost image is the same size on the negative in all four shots. Depending on the position the apparent size of the ghost varies.